Fortnite Battle Royale is without a doubt the biggest game in the world right now. In this Fortnite V-Bucks guide, we'll be walking you through everything there is to know about the micro currency for Fortnite. We'll be detailing whether or not there are ways to obtain Fortnite V-Bucks for free, as well as how you can watch out for free Fortnite V-Bucks scams. If you instead need anything else to do with Fortnite, including how to master the Battle Royale version of the game, as well as how to find all the most powerful weaponry scattered around the map, head over to our Fortnite Battle Royale guides hub. While there were originally plenty of opportunities to get free V Bucks in Fortnite Battle Royale right after the game found global success, Epic has since removed all the hacks and cheats for obtaining V Bucks for free, and cautioned anyone from hacking the game over on the Fortnite website. The Fortnite Item Shop lets you spend your V Bucks. This doesn’t mean that people online and on social media sites like FaceBook and Twitter won’t still try to scam Fortnite players with the promise of free V Bucks, however. Epic has warned players to be extra vigilant against people offering V Bucks, and to especially stay away from websites offering players V Bucks for free. How Much do Fortnite V Bucks Cost? You can earn V Bucks within Fortnite without shelling out money directly for them, although your options for slowly accumulating the virtual currency are limited and require you buy Fortnite Save the World. Once purchased, one method is to log in daily to receive small amounts of V Bucks from the servers. You’ll also rack up V Bucks for completing challenges in the Save the World mode of Fortnite, for example saving a total of 25 survivors within missions, or completing levels within the StoneWood Storm Shield Defence section of the game. You’re not exactly going to earn V Bucks as quickly through this method as you would from buying them with your money, but it’s still an alternate method. There are a multitude of different items that you can spend your V Bucks on within Fortnite Battle Royale, all of which revolve around customizing your character to make them stand out from the crowd. 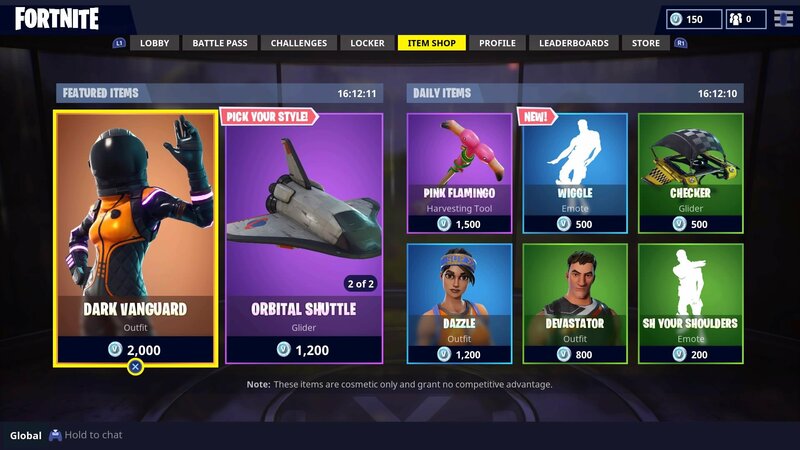 Scroll over to the ‘Item Shop’ tab in the Battle Royale section of Fortnite, and you’ll find both ‘Featured’ and ‘Daily’ items, each with countdown timers on both sections. You can see just a selection of the items you can purchase for your Battle Royale character just below, including custom pickaxes, gliders, skins, and emotes, all to show off in front of fellow players. Now that we’re done with this guide on how you can earn and spend V Bucks in Fortnite Battle Royale, why not continue ahead to our additional guides on the game, including our guide to the best Fortnite skins, or our Fortnite Week 7 Challenges guide.